Lord Judge, the former Lord Chief Justice, has warned criminal law barristers that the “old-fashioned chambers structures must be reconsidered” and they must not dismiss alternative business structures (ABSs) “out of hand”. 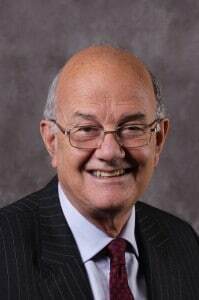 Writing about the impact of the Jeffrey review of criminal advocacy, Lord Judge said the review foresaw a “smaller, more specialist criminal Bar”. He said it “suggests an expectation, to be developed over time, that most of those seeking to become barristers would begin their advocacy as solicitors”, working in law firms or the Crown Prosecution Service before moving to the Bar. “It is for the Bar to decide how the threat of backdoor fusion, assuming it is perceived to be a threat, should be addressed. Writing in Bar Council magazine Counsel, Lord Judge went on: “My urgent plea is that alternative business structures should not be dismissed out of hand. The choice is clear: Unless there is to be a common system for entry into criminal advocacy, as reflected in Jeffrey, certainly so far as criminal work is concerned, the old-fashioned chambers structures must be reconsidered. On training, Lord Judge called for money spent on scholarships for would-be barristers to train for the Bar to be diverted to supporting those who had been called to the Bar and were in tenancies. Lord Judge said the end result was that a “great deal of the Inn’s money is spent on helping young men and women go on expensive courses” which would not improve entry the area of the Bar “which affects the public interest”. He added that he believed the Bar should “acknowledge the new world” and return to the days when more funding was available for those who had been called and were in tenancies.